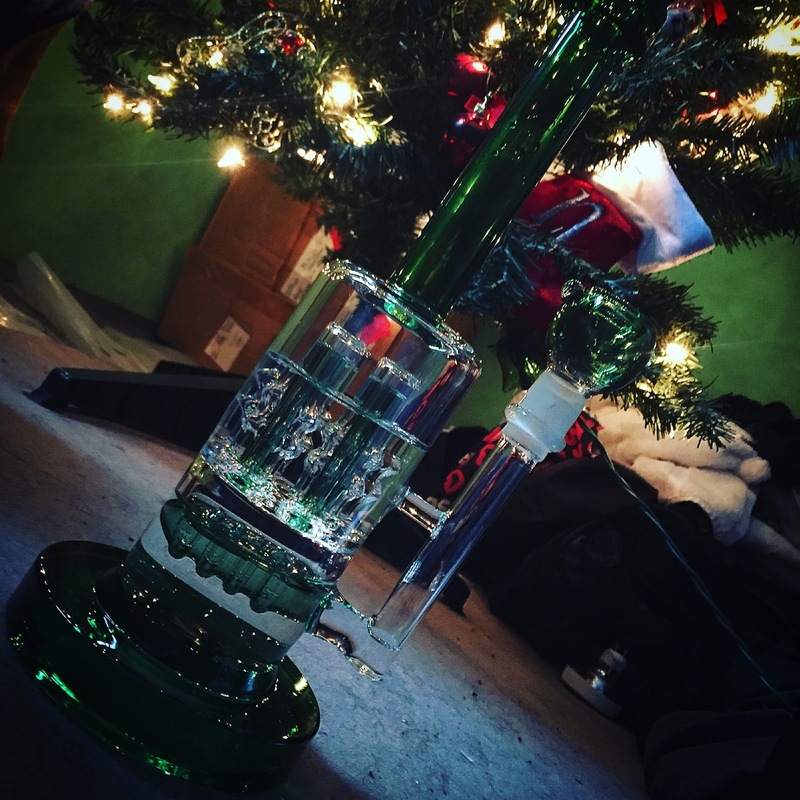 The 12" Thick Quad Perc Bong features two separate chambers each containing different percs. The bottom chamber contains an inline perc with horizontal slits surrounding it for maximum diffusion of your smoke or vapor. The second chamber contains four percs each containing slits for even more diffusion before traveling up the straight tube and flared mouthpiece into your lungs. The long thick glass tubing ensures that no nasty bong water ever gets near your mouth when you are inhaling. This thick glass water pipe has an 18mm male joint which comes with a perfectly fitting 18mm female bowl. This bong has a 22mm thick base to ensure it never tips over and can withstand those accidental bangs. Thick Glass: This glass pipe is made from thick glass which increases the lifespan and protects it from accidental bangs or drops. Thick glass smoking pipes are less likely to break because of their heavier glass construction. Always 100% satisfied with my pieces from toker supply! Thick glass, fast shipping, and great prices! Thanks so much for shopping with us! We appreciate the review and the awesome picture! I love the looks of this piece. But I can't give it five stars only because, I could be doing something wrong, but there is nearly no way not to get water in your mouth. Unless you go really really slow. But other than than. It hits nicely and really is a pleasure to look at.